The Stone of Tear will never fall, till Callandor is wielded by the Dragon’s hand. The Stone of Tear will never fall, till the People of the Dragon come. The Stone of Tear is an immense fortress, believed to be mankind's oldest surviving stronghold and indeed oldest existing structure, having been erected shortly after, or during, Breaking of the World. 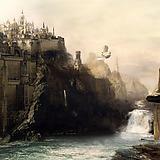 It was built by Aes Sedai using the One Power: Earth, Air, and Fire fusing stones together without joint or mortar. The Stone resembles a great mountain and towers over the city of Tear. Only the White Tower is taller. The Stone has its own docks, and is an essentially self-sufficient city. The inside of the fortress is intentionally complex with multiple hallways joining at odd intersections in order to confuse invaders and provide defenders with even more of a territorial advantage. Arrow slits are the only sizable windows, and any attempt to reach them would only succeed if the person trying was not spotted by the towers. Being built to survive the turmoils of the Breaking of the World its walls are impervious to any assault - be it Siege Engines or the One Power. In the bowels of the fortress is the Heart of the Stone: a great round room with a ceiling supported by red stone columns. Callandor floated, hilt-down, in the center of that room. No one except the High Lords were allowed to enter the Heart, and even they rarely did so: four times a year for the Rite of Guarding there, and also to raise a Lord of the Land to the office of High Lord. 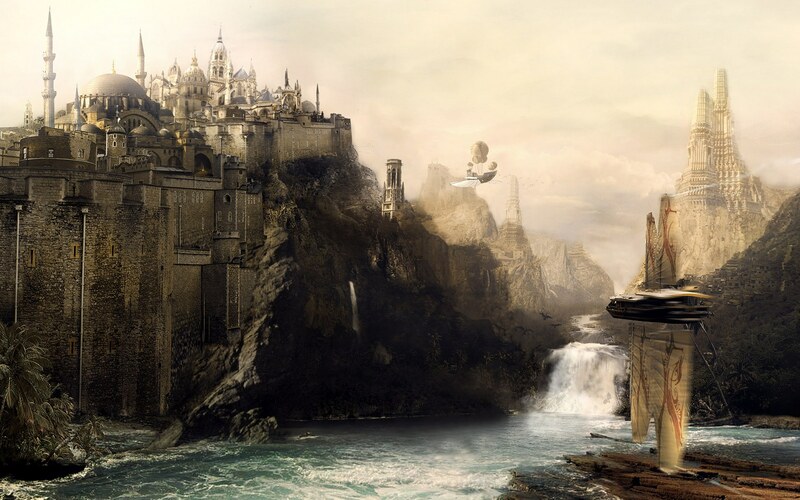 Given the Tairens' aversion to anything relating to the One Power, if the High Lords could have managed to forget that the Heart of the Stone and Callandor existed, they undoubtedly would have. The Stone also houses a collection, second only to that of the White Tower, of angreal and ter'angreal in a chamber known as the Great Holding. It is not known exactly why the Tairens have collected such an array; perhaps to prevent their use by Aes Sedai, or maybe to diminish by comparison the knowledge that they possess one of the greatest sa'angreal in Callandor, whose drawing by the Dragon Reborn will herald the coming of another Breaking of the World. A particularly noteworthy item held in the Great Holding is a tall, twisted redstone doorframe, once owed by Mayene, leading to the land of the Aelfinn. The east gate of the Stone is called the Dragonwall Gate. It has a stable nearby. Like all the gates, is approached from within the stone through a long dark tunnel.